Aftenro is a licensed boarding care facility, providing quality 24-hour nursing care for our elders since 1921 when eight Duluth women recognized the need and raised the required money to make Aftenro a reality. 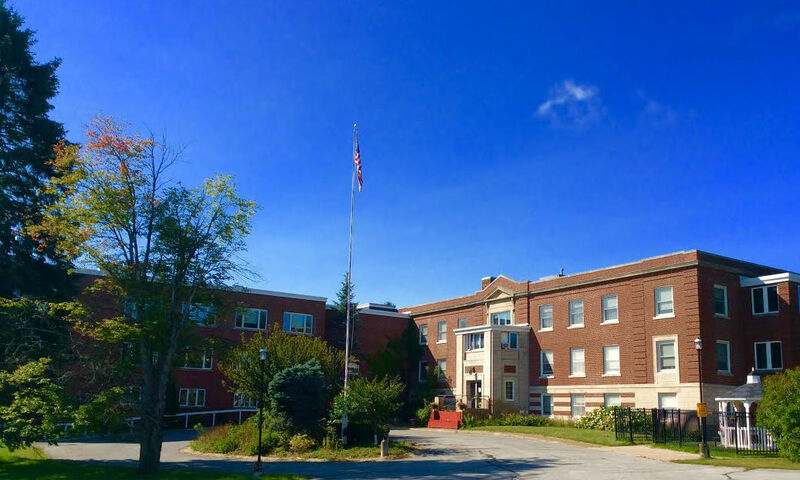 Since then, Aftenro has added two wings to the original building (1934 and 1986/1991), and continues to enjoy nearly 7 beautiful acres of fruit trees, flower beds, and evergreens. Aftenro is home to 52 men and women who enjoy comfortable private rooms, and a peaceful atmosphere. Additionally, residents have access to whirlpool baths, several outdoor spaces, and unique common areas some with beautiful stained glass windows. Aftenro is known for it’s homelike atmosphere. Included in the daily rate is 24-hour professional nursing service provided by RNs, LPNs, and nursing assistants/registered. Services such as oxygen use, diabetic care and others are provided as ordered by each resident’s personal physician. Assistance in bathing and other activities of daily living such as dressing and grooming are also provided. Nursing care is designed to meet the needs and preferences of each resident. A wellness program is offered during the week including exercise time in the Wellness Room, group activities to strengthen muscles and to help maintain or improve physical functioning. The Wellness Coordinator works with physical and occupational therapy when provided and with nursing staff to maximize positive outcomes for the each resident. Aftenro promotes quality of life by providing a wide range of life enrichment activities to continue lifetime experiences and interest, to encourage health and wellness and to stimulate mind and spirit. Daily therapeutic exercise, community involvement, creative and artistic expression and a variety of music, and social programs are offered. Dining services staff provide home-cooked meals at breakfast, lunch and dinner daily in our beautiful dining room. Room trays are available as requested. Therapeutic or modified diets are provided if prescribed by a resident’s physician. Family members and guests are encouraged to join us for meals and special events—meal tickets for family and guests are available in the business office. The Social Services office helps to meet the social and emotional needs of residents, coordinating all admissions, transfers, and discharges. Further, the office coordinates care planning, room changes, and addresses resident/family concerns. A chaplain is employed on a part-time basis to help meet the spiritual needs of all residents. We provide a variety of weekly interdenominational services with the assistance of local pastors. In addition, pastoral care visits are available as well as a weekly prayer group, hymn sing, and more. Resident rooms at Aftenro are cleaned twice a week at no added charge. Laundry services are also included in the daily rate. Our maintenance department can help you personalize your living space by adding your familiar belongings. Daily rate (case-mix rates) are determined by the MN Dept. of Human Services based on a state mandated assessment tool which provides a case-mix score. For this reason, rates may vary based on the resident’s care needs. The two approved methods of payment are private pay and Medicaid (Medical Assistance). Aftenro also accepts Long Term Care Insurance as approved by the insurance provider. Please contact our Business Office for further information at 218-728-6604. Approaching residents, families, employees, and community members with dignity, respect, courtesy, and kindness. Maintaining the highest standards for clinical and service quality and committing to continual improvement of the organization and our knowledge and individual skills. Exhibiting moral and ethical conduct, reliability, and dedication in an atmosphere of trust. Responsibly developing and investing our resources in a sustainable manner and for the benefit of our residents and their families, and the community. All working together in pursuit of excellence and holding each other to the highest professional standards.